Stenocereus beneckei f. inermis is a spineless form of Stenocereus beneckei. 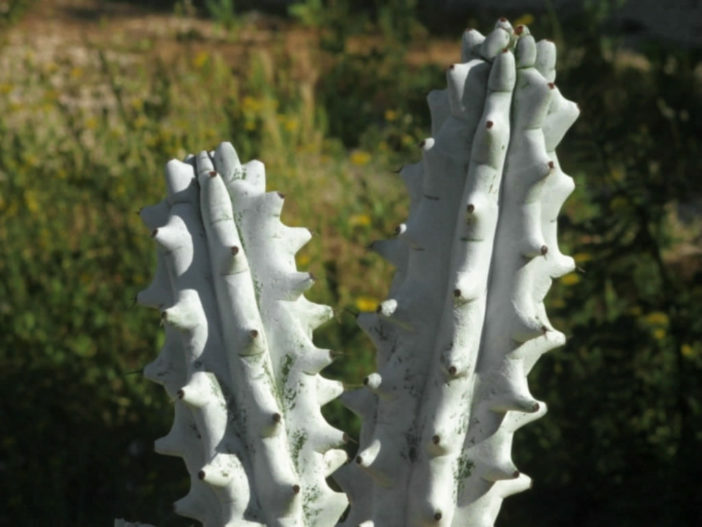 It is shrubby, semi-prostrate columnar cactus with tuberculate ribs. 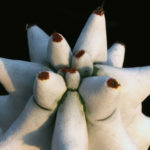 The stem is erect or decumbent, bluish-green or bronze-green with a powdery silvery-white waxy coating, up to 6.5 feet (2 m) long, up to 3 inches (7.5 cm) in diameter. Night-blooming flowers are narrowly funnel-shaped, cream or grey-white, up to 2 inches (5 cm) long. 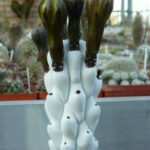 Like most cacti, Cereus are fairly low-maintenance and hardy. Make sure they receive enough water without becoming waterlogged, especially during the summer, and fertilize them for best results. If the roots have become black or overly soft, the cactus could be experiencing root rot – cut away the affected parts and replant. Like all cacti, give them lots of direct sunlight, especially during the summer. Well-drained soil is best, and most Cereus perform well in a soil that contains some organic material. Some recommend avoiding a soil that contains sphagnum moss, though – it can make the cactus vulnerable to root rot. 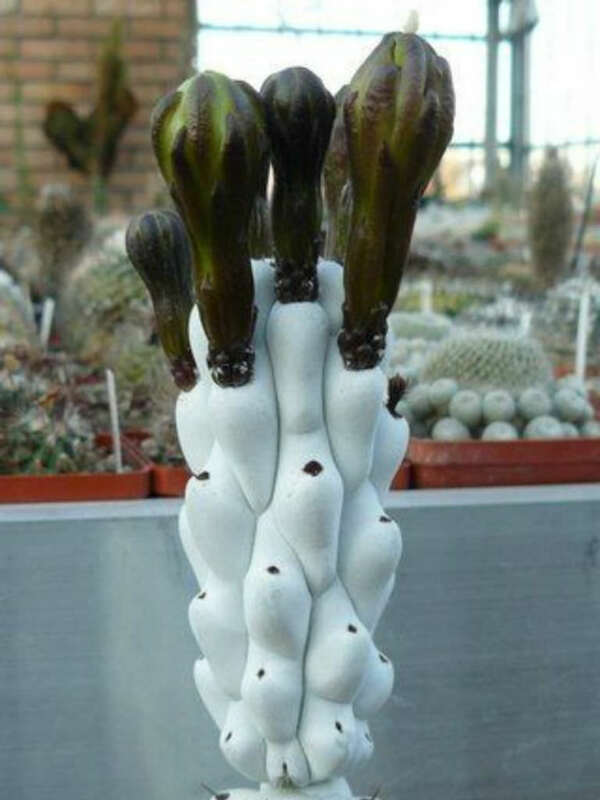 It may become necessary to repot your Cereus if it outgrows its container. If so, make sure the soil is dry and then remove the pot. Knock away old soil and prune away any rotted or dead roots, then replace it in a new pot and backfill with new soil. 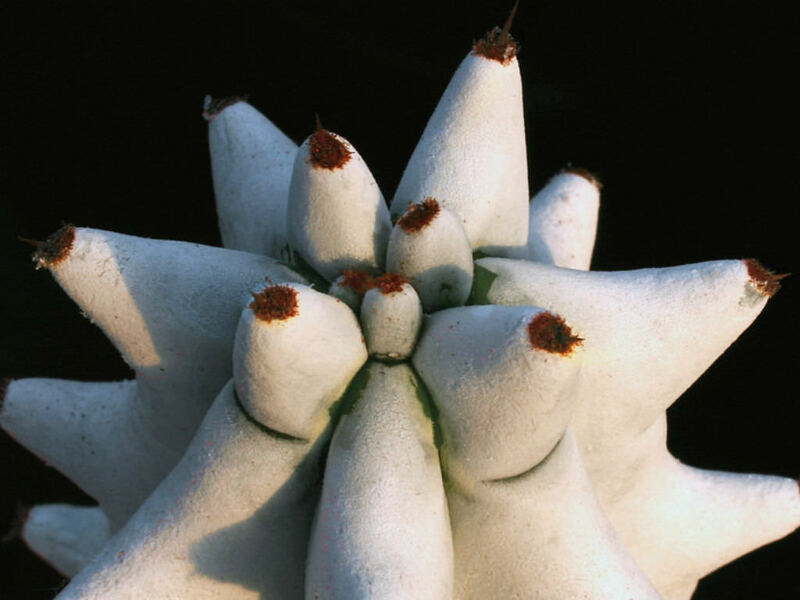 Make sure not to overwater cacti planted in new pots, as this can lead to root rot – it should be left dry for about a week and then watered lightly… – See more at: How to Grow and Care for Cereus.